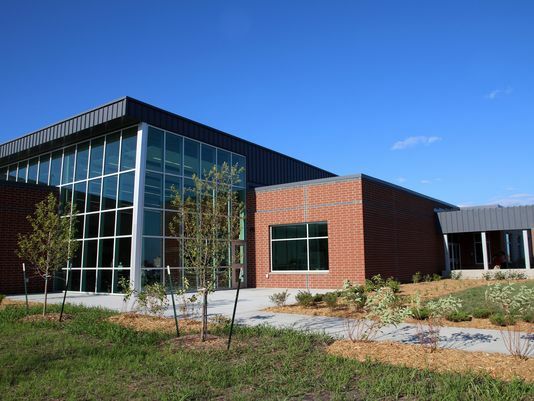 Ankeny 10, now known as Rock Creek Elementary, was constructed throughout 2013 and 2014. The school is located on the north side of the Ankeny community. The site was selected so that as Ankeny experiences growth, the new developing neighborhoods will grow around it. In essence, it created a centrally located elementary school location for the future. The HVAC system installed is Geo-thermal coupled with a VRF system (Variable Refrigerant Flow). Ground sourced Geo-thermal with variable speed compressor systems are some of the most energy efficient and green systems that can be installed today. The project required the installation of almost 16,000 feet of refrigerant piping which had to be tracked and measured down to the inch in order to ensure the system runs as efficiently as possible. The system also included 94 fan coil and condensing units. The fresh air system is powered by two 13,000 cfm energy recovery units each paired with a 50 Ton air cooled condensing unit the size of a small garage. Converse Conditioned Air staff worked closely with both the general contractor and the school district to deliver an efficient, state-of-the-art mechanical system that will provide a comfortable learning environment for the next generation of Ankeny students.